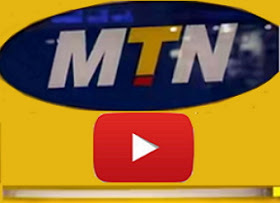 MTN YouTube hourly plan is a new plan on the network that allows you to stream YouTube videos. With this plan you would be allowed to play any videos uploaded on YouTube directly and even save for offline references. There are currently two plans available on MTN YouTube streaming offer. Though they are quite affordable. With N150 naira, you can stream YouTube videos for 1hour, while with N400, you can stream YouTube videos for 3hours. >> N400 will give you 3hours of YouTube streaming. After the said time elapsed, your plan will stop. To subscribe, dial *131*8# and reply with 1 or 2 for either the 1hour or 3hours plan. Are these plans really unlimited or data capped?. Unfortunately, these plans are not unlimited. They are capped.